Are you looking for enjoyment that comes with Active Holidays this year? If this is the case, then you are in the right place. We created a list of top Slovenia travel destinations that you will fall in love with. 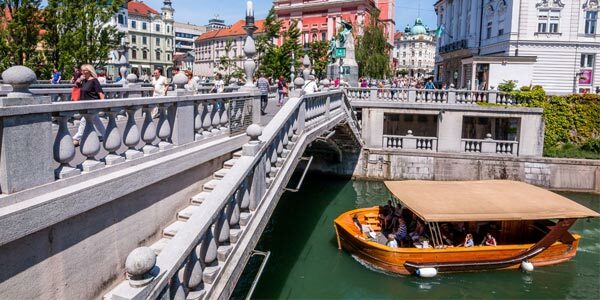 Slovenia is located in Central Europe and offers a variety of places that will impress you. Whether you are a lover of nature, you are having a small family or you just love crazy outdoor activities. Slovenia will be what will give you the satisfaction that you have been yearning for. Slovenia offers highlights like: beautiful and scenic mountains, untouched nature and old towns with magical outlook. Located in the middle of the Julian Alps and Triglav National Park, Bohinj is a very nice location to visit. In Bohinj, you will definitely fall in love with Lake Bohinj, Slovenia’s biggest natural lake, green forests, beautiful mountain vegetation and high mountains. This makes it an outdoor destination that is hard to forget. -Impressive waterfalls for rafting and kayaking. -Triglav National Park offers a lovely experience with beautiful views, nice mountaineering experience and many trails. – Lake Bohinj gives you an opportunity to swim. The water that is crystal-clear. Capital city Ljubljana is centrally located, so it is a nice place to start your outdoor visit of Slovenia. In an hour’s time, you are able to visit the coast of Slovenia, regions of high mountains or the beautiful Karst scenery region. You should also plan da day visit of this magnificent town, or plan a weekend experience. -Have a feel of the precious Logar Valley and have an opportunity to cycle with the family, enjoy hiking trips, paragliding, climbing as well as road biking. 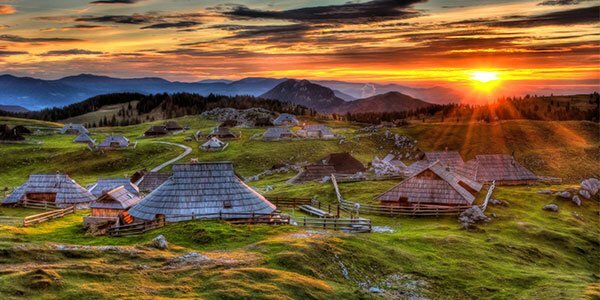 -Velika planina gives joy to those who love hiking. -Seek adrenaline rush in Krvavec’s bike park. –SUP tour can be done in Ljubljana River. 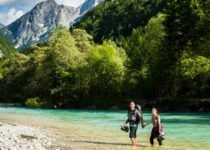 Bovec acts as the focal point of outdoor activities in Slovenia. Do you want to awaken and redefine your spirit and love for outdoor adventure? If so, then Soca River is the place to be. 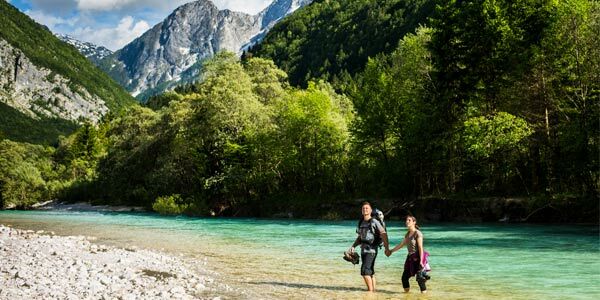 With active holidays in Bovec, you have an opportunity to view nature that has not been interfered with. The nice town is bordered by beautiful peaks of the Julian Alps and Triglav national park – a place sport lovers will cherish. 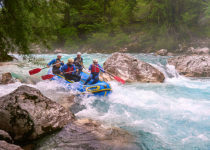 -If you love rafting, you are a kayaking enthusiast or love canyoning, then Soca valley will provide you with all that. 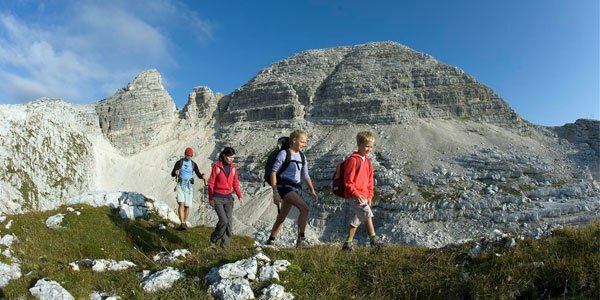 -Enjoy mountain climbing, hiking, soca rafting, trekking and sports in the Julian Alps. -The valley of the Soca River gives you trails nice for hiking and biking paths. After a nice riding experience, you can then involve yourself in other outdoor activities. -There is a zip-line that enables you to view the beautiful River valley. This is another magnificent destination for outdoor fun. The town is bordered by the Julian Alp’s – mountains which have a beautiful scenery. Kranjska Gora offers easy entrance to the Triglav National Park. -Enjoy the world’s steepest zip-line in Planica. -Have a feel of of Via Ferrata in the middle of Triglav National Park. -If you love road cycling, you can ascent to Vric pass, Slovenia’s highest pass. -You can also make a visit to the bike-park in Kranjska Gora. 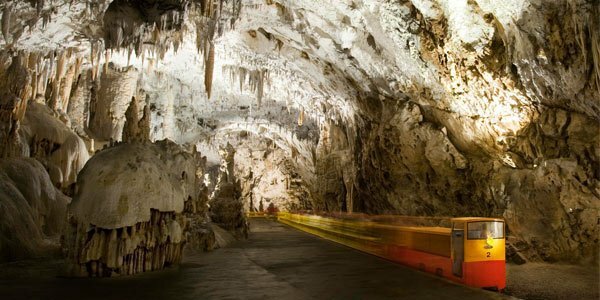 This is a destination you should not forget when on a visit in Slovenia. The outdoor areas you will love include a beautiful lake ideal for swimming during the summer and nice alpine resort good for your relaxation on your outdoor enjoyment. 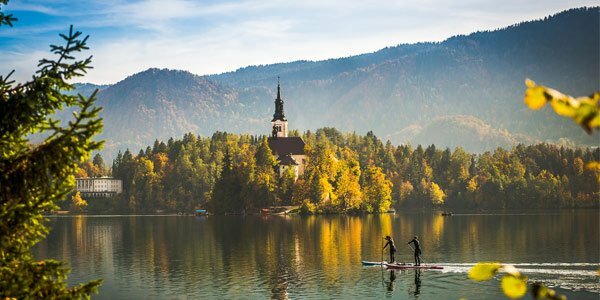 -Bled Lake offers a SUP tour experience. -Poljuka plateau offers a memorable hiking opportunity. -You love road cycling? Radonva Valley will serve you just right. -Visit the scenic Vingar Gorge or undertake Canyoning experience. This karst region is accompanied by various aspects of uniqueness and a landscape of cultural as well as historical nature. Features associated with karst sceneries are found in this region. 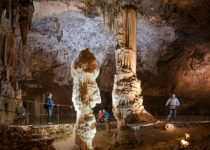 Postojna cave is the biggest and includes 11,000 caves with stalagmites and breath-taking stalagmites. -Vipava valley has beautiful trails for mountain biking. -There are nice climbing routes for you. -Experience road cycling while enjoying beautiful vineyards. -Explore the wine region, which gives you a great culinary experience. Get the best relaxation in the Mediterranean Slovenia. In addition to enjoying the beautiful sea and the sun, you will also feel a blend of three cultures; from Italy, Croatia and Slovenia itself. You are also able to blend relaxation with a wide array of outdoor activities. –Parenzana tour gives a wonderful family cycling experience. -Beautiful sites for rock climbing. -Scenic seaside view and hiking experience. -Swimming and other memorable water activities. 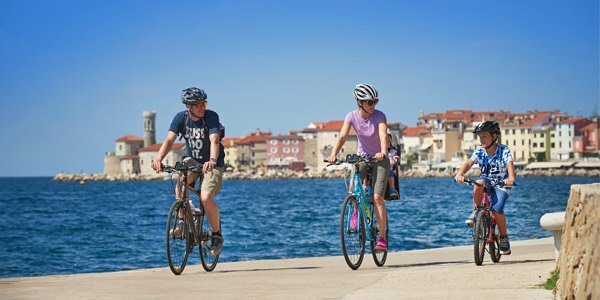 Now you have your answers on where to enjoy memorable outdoor activities in Slovenia and Slovenia holidays. As already highlighted, Slovenia gives you an opportunity to enjoy a variety of outdoor fun. 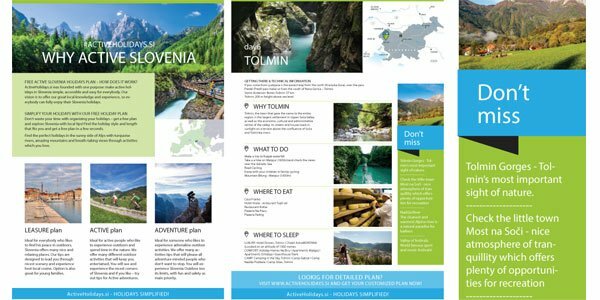 Enjoy adventure holidays in Slovenia by taking a plan and timing that suits you.